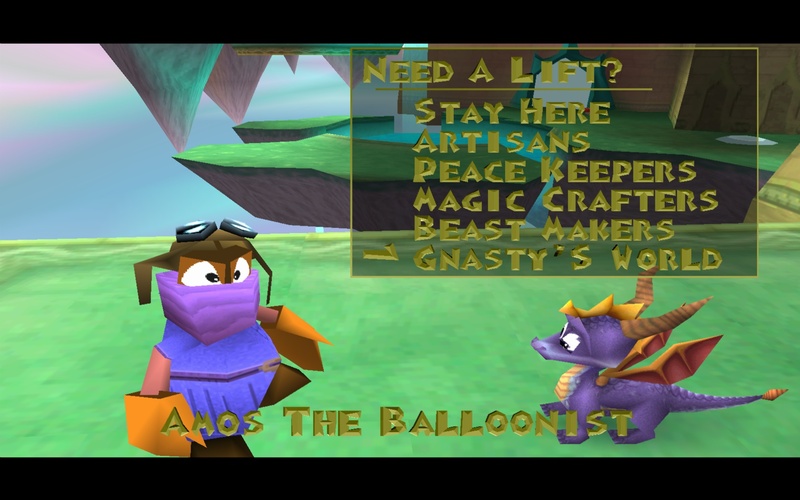 Ah, Spyro, always a classic. This game is mostly platforming and collecting, the flying parts are a pain but they aren't too bad. The most action it has is setting monsters on fire or charging them. 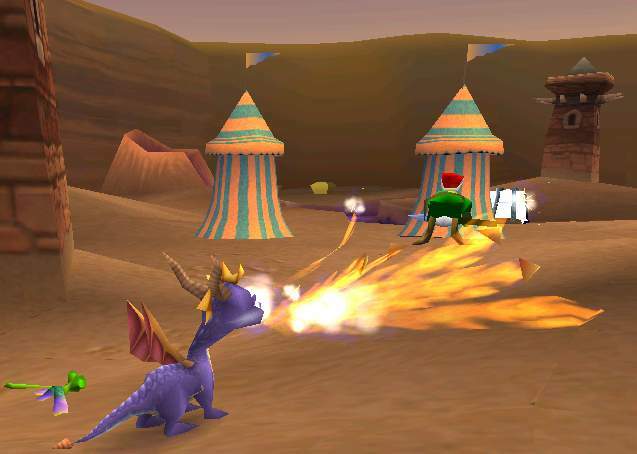 You are Spyro, a dragon, and your skills consist of jumping, planing, spitting fire and charging bad fellows. Game is about collecting gems and running through the end, nothing but this, anyway gameplay is the pulsating core addicting the player! Controling Spyro is a real fun! Most of all, even if in third person, camera is not frustrating, and is not such an obstacle along the game. Pretty long story and medium difficult stages, a bit harder when trying to search ALL gems and complete at 100% but never frustrating, just funny. 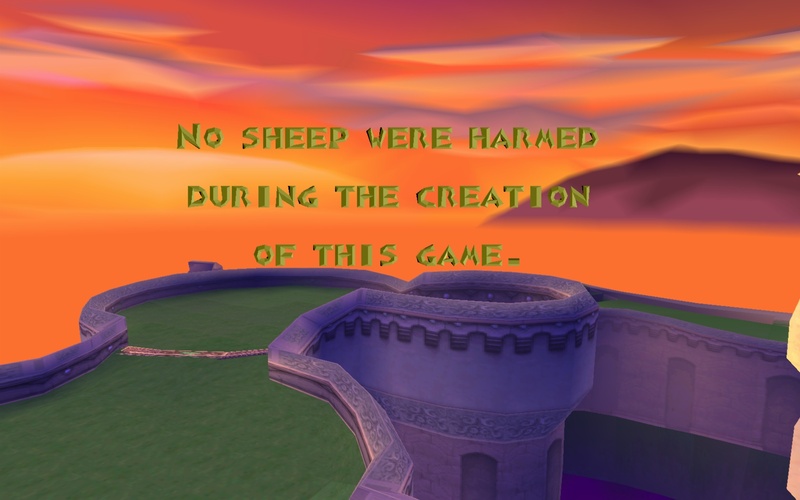 It's such a joy to be able to play Spyro again. What's not a joy is dealing with the controls. In the original PS game, you can charge and jump at the same time. With this, you can't. Or at least, not all the time. And even if you do land a jump perfectly, he continues jumping as if you're holding down the jump button when you're not. What you have to do is mash another button while praying that the stupid jump button will work at the end of a super charge ramp. Why this is, is just stupid. If it can be fixed, please do. If not, this is how you can get the jumps. Just try not to rip your hair out in the meantime, like I did. 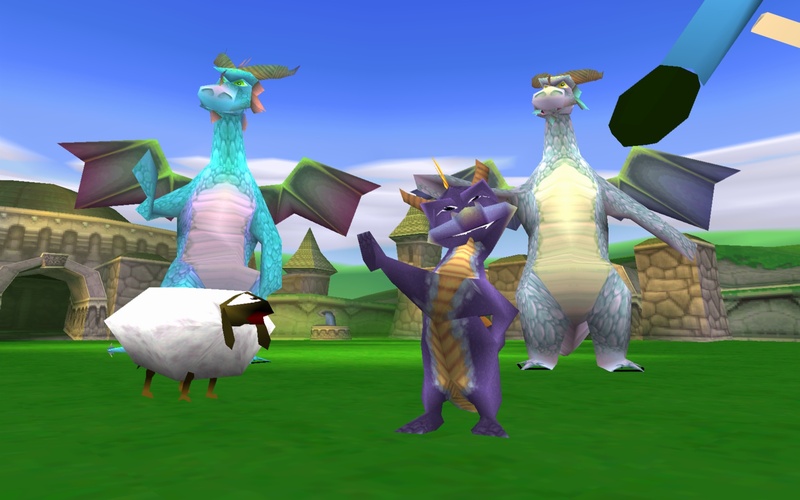 Spyro the Dragon is one of the most top-rated games on the PlayStation, developed by Insomniac Games and published by Sony Computer Entertainment in 1998. 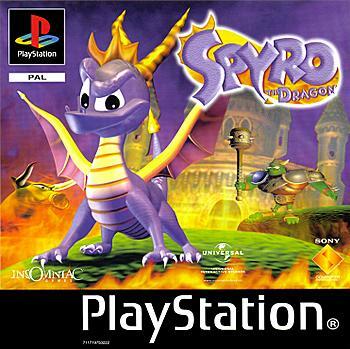 It is the first game in the Spyro platform game series and also one of the best starring the main character Spyro, whom is a young purple dragon, and Sparx, who is a yellow dragonfly and also Spyro's constant companion. Together you can collect gems, defeat enemies, and help others along your adventure. 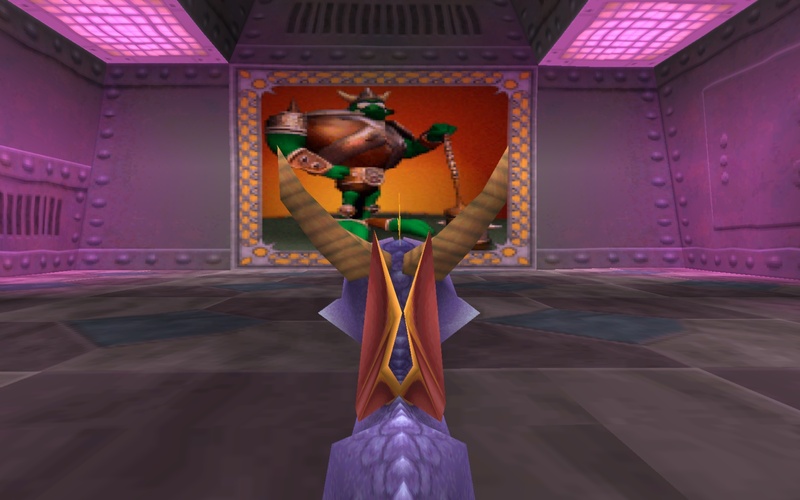 You will rescue his fellow dragons, recover the stolen treasure, and defeat the Gnasty Gnorc. This is a great ISO for a great retro platformer. There are a lot of worlds to run through, loads of collectibles to find, and lots of enemies to fry and charge. Gliding is a little tricky though, and the special bonus stages where you have to fly through in order to get 100% are tedious and frustrating, but that's really everything that you may like less about this game. Now you can add videos, screenshots, or other images (cover scans, disc scans, etc.) 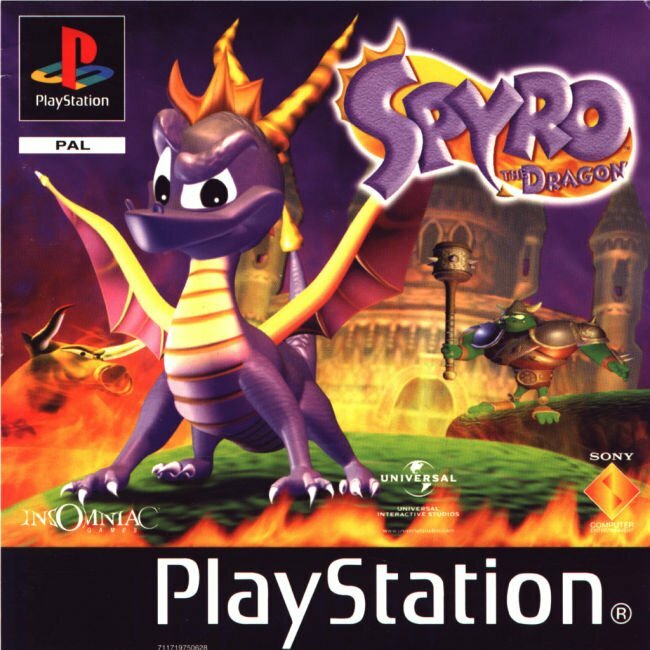 for Spyro the Dragon (E) to Emuparadise. Do it now!